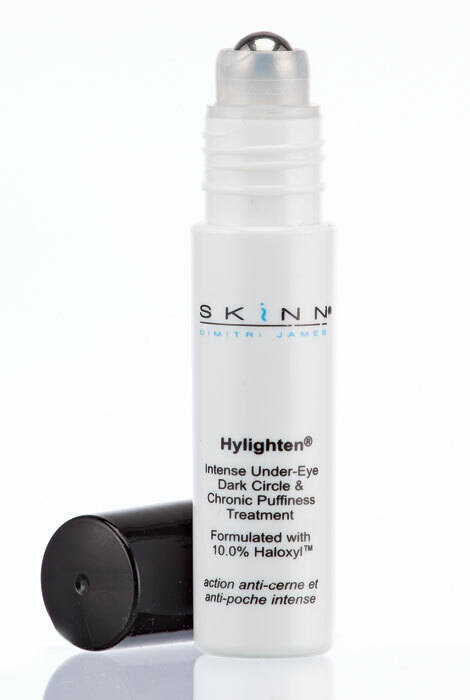 Hylighten® dark circle & chronic puffiness treatment features a potent, ultra concentrated formula that boasts maximum levels of Haloxyl™, the only patented ingredient scientifically proven to diminish puffiness and under-eye dark circles, whether caused by stress, lack of sleep or genetics. Also utilizing natural antioxidants like cucumber and camellia tea leaf extracts, the powerful dark circle treatment targets the triggers of under-eye dark circles—slowly breaking them down and allowing them to neutralize within the skin. Caffeine and vitamin K work to diminish discoloration and puffiness, as this age-defying under eye treatment helps firm, lift and visibly tighten the skin’s appearance. 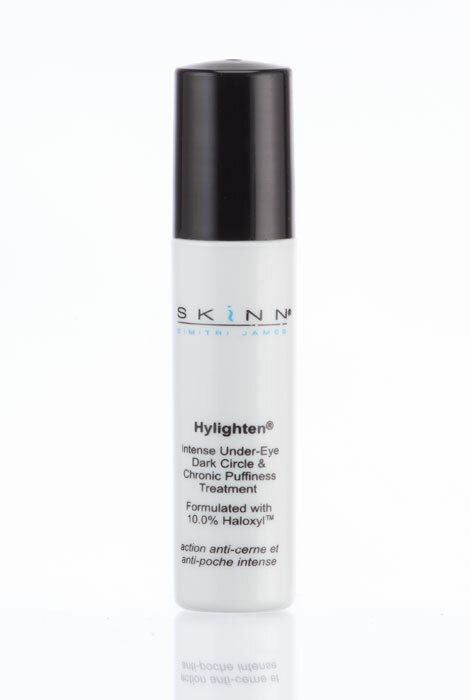 Use the easy roll-on applicator to deliver a thin layer of Hylighten® directly to problem areas twice daily. Puffy eye treatment may be used up to four times daily for faster results. 0.25 oz. I have had bags under my eyes for years it runs in the family). I have tried many, many products with little to no success. This product has been the most successful by far. My bags are greatly diminished and my confidence is back. This is a very good product. It does exactly what it says it will do. It is a good product for the money. I have never used this product until recently. I love it. I don't have dark around my eyes, but they do get puffy. Well I don't have to worry about that anymore thanks to Hylighten. I use Hylighten at night and in the morning. No puffiness or bags or dark circles. Love it. Sorry to say, this has not worked for me. I was impressed with Skinn's owner and presentation of products on HSN and wanted to try something in this brand. I have under eye dark circles. This product works well for dark circles, have been using it for years. Hereditary dark circles - thank you grandma. It solves my puffiness and dark circle. Works very well on dark under eye circles. I wouldn't stop using it (you only need to use it a few times a week, after the darkness is reduced, to maintain the benefit). I also use the Dermelect under eye cream which used to be available on this Website. I hope they will again soon?? Good reviews from other customers. I have only used it for a couple of days but I think it is working already!! I wanted to try a different product. I have very dark circles. I have used other products nothing seems to work thought I would give this a try hope it works!! Purchased to reduce dark circles so far they are gone! It appears to be something I would use on a daily basis. Continuing saga for puffiness treatment that actually works! I have chronic puffy eyes and I'm in need of something that works. The reviews looked promising. I'll be so happy if this helps me. I'm 34 and it's getting worse as the years go by. Hopefully this will help my under eye apperance. I haven't had any luck finding anything that claims to reduce dark circles and puffiness. So, I decided to give this product a try. I have been looking for something to ease the puffiness...for a long time.......I hope this works. If I can't eliminate them, I can at least attempt to cover them. I like what this product does for your skin (under your eyes) I am young enough that I don't have much of a problem but what I do have it takes care of. I am disappointed in the way the price goes up ad up and up. Soon I willhave to find something else. My bags aren't going away with extra sleep so I'm ready to spend the money and am hoping that the product will make me look and feel less old. always looking for miracles for my chronic puffiness. sure hope this works. hopefully this product will clear up my dark circles and puffiness. Can you put it on over foundation? BEST ANSWER: Thank you for your question. This item is intended to go underneath the foundation. We hope this information will be of help to you.